The call to conceive that there is more to life than the frenetic daily shuffle from shop to food to entertainments and then to sleep. The call to raise our aspirations above hollow trifles, to imagine things beyond the distractions with which we fill the passing days, weeks, and years. Quite simply, the call to be more than we understand ourselves to be. That’s what this first episode is all about: Rose Tyler hearing the call to be a companion to the Doctor in his adventures through space and time. It’s quite a thrilling episode, full of danger and adventure, as the Doctor saves Earth from an alien invasion. It’s like he’s daring Rose to prove herself. And she rises to the occasion, using her gymnastics skills to save the Doctor at the climactic battle in the episode. So the Doctor invites her to join him as a companion. And there’s the Biblical touchpoint: the call to be a companion. The Bible is filled with stories of calling. Abram the calling of God to a new land. Moses experiences God calling from the burning bush. Isaiah perceives the call in his dramatic vision. These are Old Testament callings to service. But it is Jesus who calls to companionship. Jesus. The divine being who became flesh and dwelt amongst humanity. God with us. Look it up in the first chapter of the gospel of John, or check out the poem in the second chapter of the book of Philippians (verses 5-11). Not just a wise human teacher, this Jesus. No. The early church understood that Jesus was fully human and fully God. We call this the incarnation. And it’s this Jesus who calls us, not just to serve, but to accompany, to befriend. Now here’s the contrast with our Doctor Who episode: unlike Rose Tyler, we don’t have to prove ourselves worthy of being a companion. Jesus calls, simply because he wants us to accompany Him. We have nothing to prove, nothing to earn. We have no way of convincing Jesus that we’re worthy companions. And when we accompany Jesus, we find that the adventure He takes us on is quite different. At first, the adventure comes in the transformation of daily life. Jesus teaches us to see the glories of creation that have always been right in front of our noses. He teaches us to appreciate the wonders of the people who are already in our lives. And then, after we have accompanied him for a little while, He begins to suggest to us actions and choices that will take our lives in a different direction than we had ever imagined. 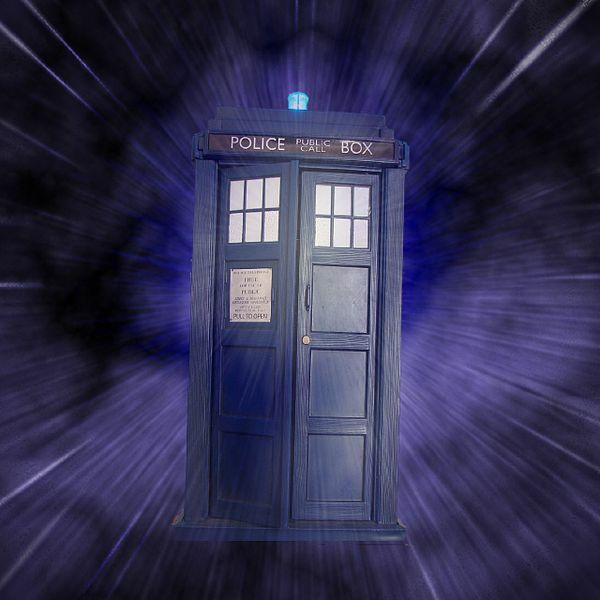 Is it an action packed adventure through space and time? No. So, have you heard the call to be a companion to Jesus? How have you experienced the call of Jesus? What unexpected places has Jesus taken you in your life? In what ways has Jesus transformed your understanding of the ordinary things of your life? Thanks for this! I really appreciate your connecting the Doctor’s call to Jesus’ call. I am looking forward to the rest of this series. And he wants us to participate with Him as he overcomes evil and injustice. He wants us to team with Him to thwart the intentions of the evil forces. Thanks for the comments, Bob. Right you are – the adventure that Christ calls us to is an adventure of kingdom building!